If you enjoy cooking and like the idea of working in the field of culinary arts, a chef career might be an excellent choice for you. Chefs are responsible for various aspects of food preparation in several different types of establishments. Duties may vary based on the type and size of employer. In a small restaurant, a chef may have primary responsibility for all aspects of kitchen operations. In a larger facility, the chef may take on more of a managerial role, supervising others who are responsible for performing specific tasks. If you're thinking about pursuing a chef career, it's important to understand what types of jobs might be available to you. 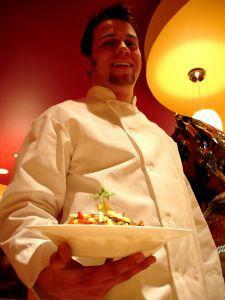 Many different types of businesses employ chefs, yet not every company that serves prepared food has a chef on staff. Fast food restaurants and diners, for example, hire cooks rather than chefs. Most professional chefs work in restaurants or in management positions with restaurant chains. While all restaurants employ individuals who are responsible for preparing food, they do not all employ chefs. Restaurants that are classified as fine dining establishments typically have a chef on duty at all times. Large operations sometimes have an executive chef, who oversees the operation, and a sous chef, who assists the head chef. Some higher end casual dining restaurants also have chefs on staff. Chain restaurants that employ chefs often hire an executive chef, who works from the corporate office and oversees kitchen operations throughout the organization. Country clubs and other types of private clubs offer excellent employment opportunities for individuals interested in chef careers. Quality of food is an important factor in attracting members to join private clubs, so these types of organizations actively recruit top quality professional chefs to head up their foodservice operations. Private clubs often offer daily restaurant service for members, banquet service, special event catering, and more. Many professional chefs go to work for cruise lines, hotels, spas, and resorts. These types of companies rely heavily on the quality of food to attract leisure and business travelers, so they often actively recruit experienced chefs and gifted culinary school graduates. There are numerous opportunities for professional chefs to work in the healthcare field. Hospitals, nursing homes, and assisted living facilities take pride in providing healthful and tasty meals for patients, employees, residents, and visitors. Many of these types of facilities employ one or more chefs, along with a number of additional food preparation and foodservice workers. Many grocery retailers have expanded into catering and the meal preparation market sector. Those that compete with top catering businesses often hire professional chefs to oversee the prepared food component of operations. Working in this environment can be an excellent opportunity for individuals interested in pursuing chef careers. Prior to becoming a successful cookbook author and Food Network superstar, Rachael Ray worked for Cowan & Lobel, an Albany, NY gourmet market. Some individuals hire private chefs to prepare meals for themselves and their families. Particularly wealthy individuals may employ a full time private chef, while others may hire a chef to prepare meals for special occasions or to create several days' worth of meals on a single visit. There are also opportunities for qualified individuals to work as corporate chefs, staffing and overseeing dining rooms where executive meals are prepared. If you're interested in pursing a chef career, it's advisable to enroll in and complete a program of study in an accredited postsecondary education program in culinary arts. There are a number of private schools that specialize in culinary studies. Many colleges and universities also offer excellent curricula in this field. See CulinarySchools.com and CulinaryEd.com to search for training programs in your area.